Dawn Van Hoek will retire in February, 2018, from her position as Michigan’s Appellate Defender, where she manages the State’s indigent appellate defense system, consisting of the State Appellate Defender Office (SADO) and the Michigan Appellate Assigned Counsel System (MAACS). A public defender throughout her 42-year legal career, Ms. Van Hoek contributed to the transformation of the criminal justice system in Michigan, including adoption of the Michigan Indigent Defense Commission (MIDC) Act in 2013. At SADO, she obtained millions of dollars in state funding for direct legal services, as well as federal grant funding for innovative projects. Direct legal services improvements include providing counsel to 200 of Michigan’s “Juvenile Lifers” who became eligible for resentencing in 2016, and increasing the annual workload share for SADO. Innovative projects include those to identify wrongful convictions, improve training for assigned criminal defense counsel, improve access to investigation, improve sentencing outcomes through mitigation, improve social outcomes through reentry services, and challenge lab processing of ballistics and sexual assault evidence. Her activities in professional organizations included service as Chair of the State Bar of Michigan’s Representative Assembly, the Bar’s highest policy-making body, and Chair of a Hearing Panel of the Attorney Discipline Board. She also served numerous terms on the boards of the Criminal Defense Attorneys of Michigan, and the Wayne County Criminal Advocacy Program. Ms. Van Hoek was recognized for legal accomplishments by the State Bar of Michigan (Champion of Justice, 2014), Criminal Defense Attorneys of Michigan (Right to Counsel Award, 2005), American Civil Liberties Union (Bill of Rights Award, 2013), and Michigan Lawyers Weekly (Leaders in the Law, 2015, Lawyers of the Year, 2005, Most Influential Lawyers, 1990). Also a leader in Michigan’s women’s community, Ms. Van Hoek led the Women Lawyers Association of Michigan as President at both local and statewide levels, developing networks for women and advocacy on social issues. As President of the WLAM Foundation from 1997 to 2017, she helped to dramatically increase funds available for scholarships to outstanding women law students. 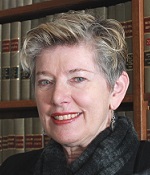 Ms. Van Hoek chaired the State Bar of Michigan’s Domestic Violence Committee at its inception in 1993, advocating for more resources for victims. She chaired the State Bar’s Task Force on Racial Ethnic and Gender Issues in the Courts and Legal Profession (1997-1998), developing a roadmap for improved diversity and reform of the justice system.